The 1.35m terminal is ultra-lightweight packs into two lightweight IATA compliant cases for checked baggage. 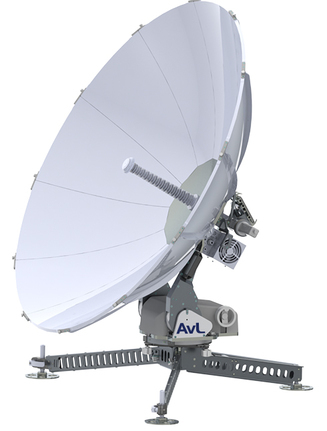 The antenna features an axi-symmetrical carbon fiber reflector, an all-in-one positioner system with integrated stabilizer legs, quick change snap-in-place tri-band feeds and RF kits, and ODU/modem and BUC/LNB integration. The 1.35m terminal is easily assembled by one person in minutes.